Whyte Ridge is now officially part of the new Waverley West Ward, with Janice Lukes as the city councillor, having run unchallenged by the Sept. 18 nomination deadline. 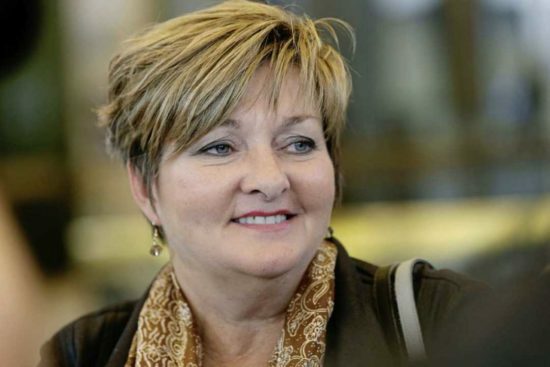 I spoke with her recently about her upcoming plans and priorities for the Whyte Ridge area. Janice said she has been gathering feedback during many weeks of canvassing residents and businesses in anticipation of the election and this has helped to shape her initial plans for the area. One of first things she mentioned was the need to raise awareness about crime. While Whyte Ridge is one of the safer neighbourhoods in Winnipeg, there have been break-ins and vandalism over the past few years, including an incident at the community centre this spring. Janice said the city-wide increase in drug-related crime over the past few years may have consequences in Whyte Ridge. She plans on finding ways to increase awareness about this issue in the community. I noted that Neighbourhood Watch has become much less visible in Whyte Ridge over the past 10 years or so. Janice also plans on addressing street repairs and traffic issues in the community. Residents have expressed concerns about traffic and safety issues along both McGillivray Boulevard and Kenaston Boulevard as they pass through the community. This includes foot traffic across McGillivray to FortWhyte Alive, the entrance and exit to Kenaston Commons, and the intersection of Kenaston and McGillivray. As I reported this spring, this latter location was the subject of a City-MPI-CAA study to test the effectiveness of signage to lower speed limits, as it has one of the highest rates of accidents in the city. Another issue Janice wants to address is the degradation of some of the open spaces in the community, such as sports fields and some of the pathways. While these areas are still relatively new in many other parts of the ward, some of them need updating in Whyte Ridge. She plans on working with the schools and community centre to identify and address these needs. Finally, as I reported last month, the next phase of the City’s Recreation and Parks Strategies project begins this fall, with a public survey followed by stakeholder engagement and open houses. With all of the new and exciting development occurring south of Whyte Ridge it will be important for members of the community to actively participate in this process to make sure that the needs of Whyte Ridge are part of the planning process. I was very encouraged that Janice seems to be very receptive to participating in venues to solicit input about the needs Whyte Ridge in the ward.